This value pack includes 10 copies. NIV Everyday With Jesus One Year Bible Pack of 10 by CWR is published by CWR and is our 61929th best seller. The ISBN for NIV Everyday With Jesus One Year Bible Pack of 10 is EDENBUNDLE-1379. 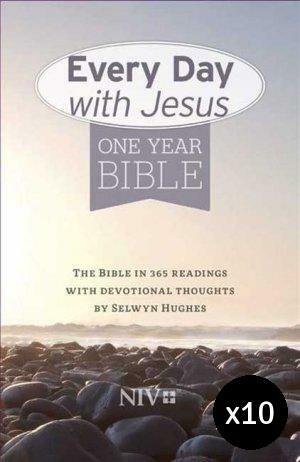 Be the first to review NIV Everyday With Jesus One Year Bible Pack of 10! Got a question? No problem! Just click here to ask us about NIV Everyday With Jesus One Year Bible Pack of 10.